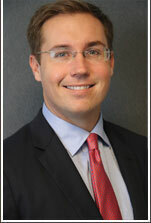 Paul Bagley is a litigator in the Miami office of Foreman Friedman, P.A. He has experience in complex civil litigation, including health care disputes, non-compete litigation, and Maritime and Admiralty-related matters. Originally from Maryland, he completed his undergraduate studies at the University of Miami and received his Juris Doctorate from Stanford Law School.